We Are Here To Help - Call Us Now! When a marriage is no longer working, the first thing that people do is consider what their options are for the future. For most, they will go straight to the decision of getting divorced without realizing they may be able to make a different decision that is less drastic. If you know that you need a change in your marriage but you are not ready to file for divorce, you do have another option. 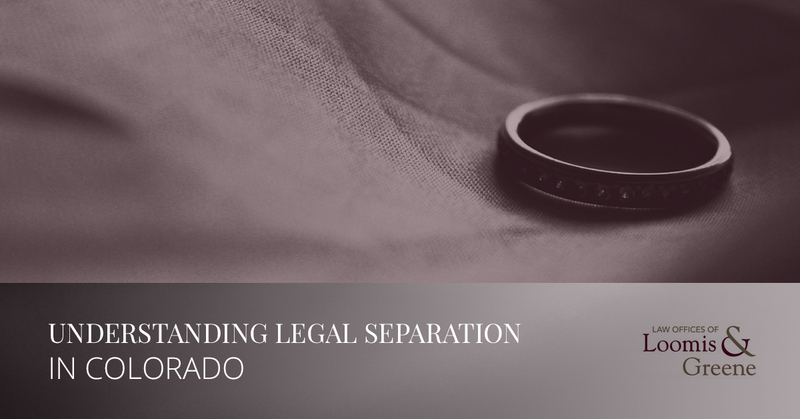 For cases like this, and others with different issues but the same outcome, the State of Colorado recognizes legal separations as an alternative to divorce. In this post, we will give you more information about legal separations in the state of Colorado and how you can obtain one should you need it. While there are plenty of misconceptions about legal separation, the most common of all is that a couple is legally separated is they have filed for divorce and are living in different homes. This is not the case. In Colorado, legal separation is a legal status that is entirely distinct from divorce. To be considered separated in the eyes of the law, you have to file for that specific status in court. There are a lot of ways that these two processes are actually very similar, which leads to many people wondering what the true differences are. For the most part, you will have to follow the same procedures that you would follow if you were getting a divorce when you decide to seek a legal separation. Both child custody and parenting plans will be decided, as will financial arrangements such as spousal support and the division of assets. When everything is concluded, the couple will be considered financially independent of one another and free of any responsibility from one another’s affairs. On the other hand, there is one very important difference between legal separation and divorce in Colorado state. The couple will still be considered married in the eyes of the law. This means that neither spouse can remarry at any time during the legal separation. If they wish to, they must dissolve the marriage entirely. Additionally, maintaining the status of being legally married also allows to couples to remain on the same health care and insurance plans. Military benefits can also continue to be shared as well during a legal separation. Why Do People Get Legally Separated? There are a few different reasons why couples will pursue a legal separation. The most common reason is that the couple’s religious beliefs prevent them from being able to obtain a divorce. A legal separation allows for them to become financially independent of one another, as well as created separate duties and responsibilities where parenting is concerned. On the other hand, some couples use a legal separation as a test to see whether or not they want to pursue a divorce. Need A Family Law Attorney in Greeley? If you live in the Greeley area and you are considering a legal separation or divorce, you’re going to need to assistance of an experienced attorney. 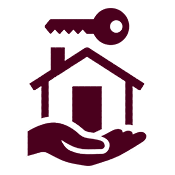 We have an expert team, all of which have years of experience helping people through changing family dynamics, will go above and beyond to make the process as fast and uncomplicated as possible. Contact Loomis and Greene today to learn more about how we can assist you.